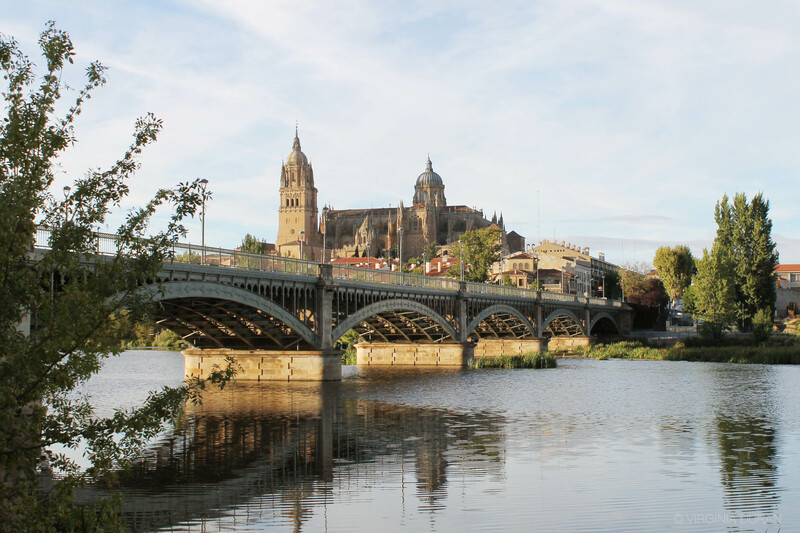 Yesterday I came back from a small road trip to the Golden Stone city: Salamanca. London’s nonexistent summer combined to the homesickness that I recently started to feel made the fact that I had to go even more pleasing. The real reason behind such a treat was that Spain’s best printers (and tapas) are located here. Otherwise, I wouldn’t have left my creative cave where most of my book is slowly becoming a reality. The plan was to meet my potentially final printing company on Monday and in an attempt to enjoy life I took Sunday out too. To be honest, I normally don’t take any days out, not even Sundays. Dealing with guilt has been one of the most challenging aspects of founding my own company. Walking under the sun, eating food that tastes like food and stimulating my eyes with new architecture has put me in an extremely cheerful mood. I am unsure if what I need from time to time is change or that I just love Spain more than I dare to admit. 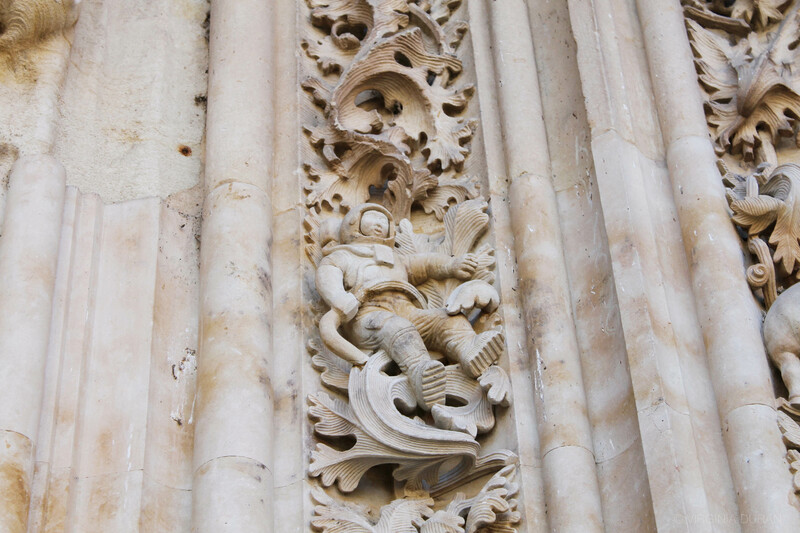 Spaniard’s effortless love can be felt everywhere; in a smile from an artist, a sudden joke from the waiter and the laughter of an unknown person who helped you find an astronaut in the façade of a cathedral – just to name a few. It’s a shame , I think to myself, that such a beautiful country in which I’ve been so happy made it so difficult for me to fulfill my professional dreams. 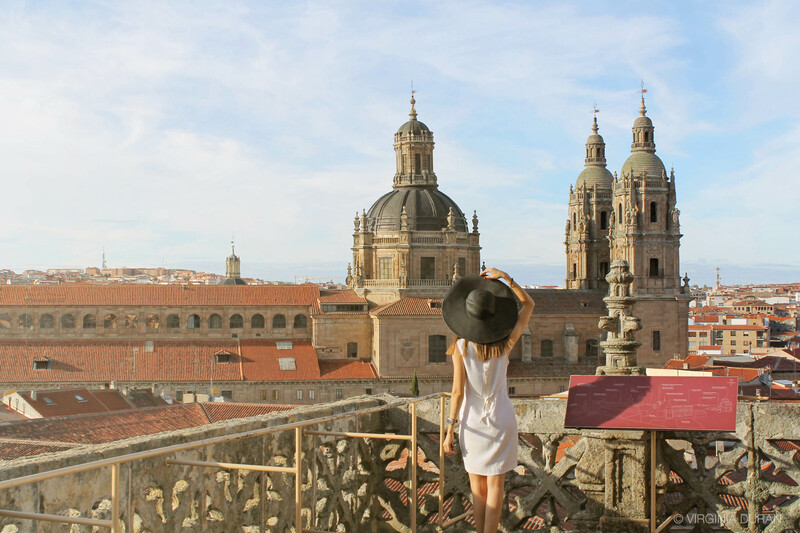 Salamanca, the city with Spain’s oldest university (the third in the world), has not one but two cathedrals. The first time I visited, aged 12 or 13, I was in awe of such majestic religious buildings, just as I was now. However, I didn’t know then that I would later be able to build similar things as an adult. What will I be able to do in the future that I can’t now? What will have changed next time I visit? All of a sudden, I start being very grateful for what I have now. On Monday I had the meeting. After we designed all the remaining aspects of the materials and finishings, they showed me around the heavy machinery. I admit I wasn’t even paying attention to what they were saying but I kept nodding as we checked machine after machine. In my head, a month had passed and my book was the one being printed. When we arrived at the last one, my heart was already in the day I will hold my first printed guide and adrenaline was flowing fast through my veins. What a happy way to finish the trip. 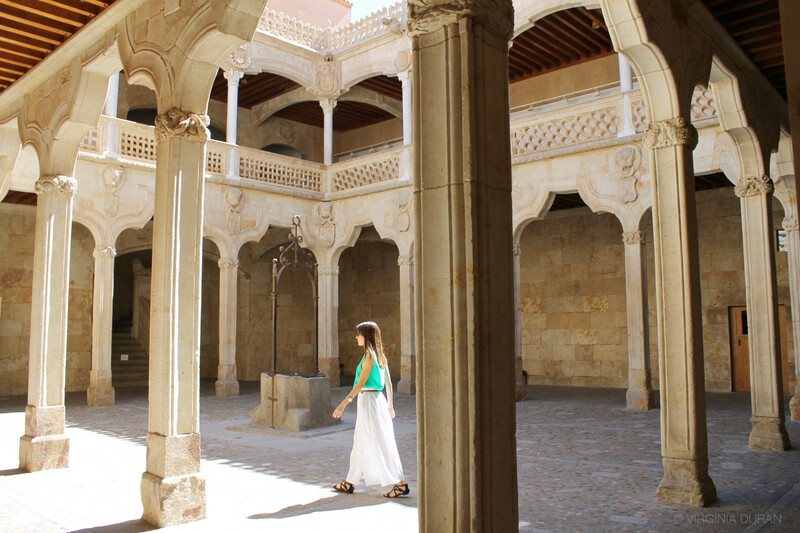 In summary, I will be coming back to Salamanca soon. 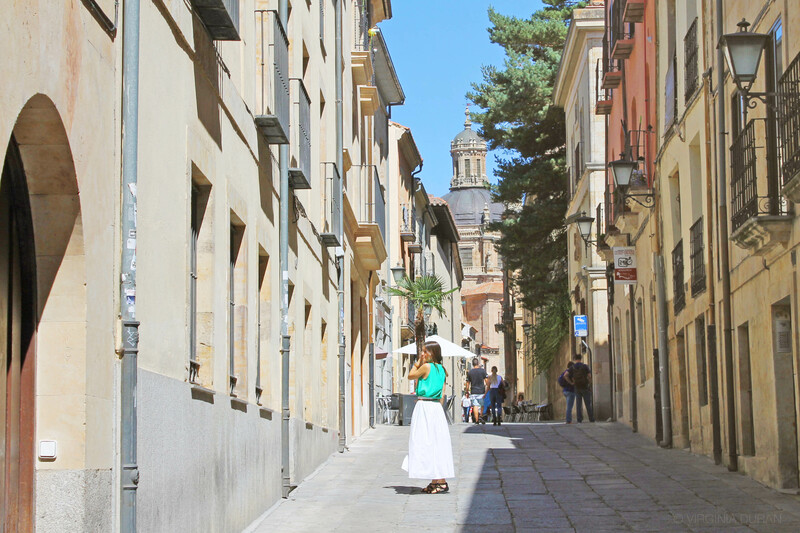 Tags: Architecture, Castilla Y Leon, design, Europe, Photography, Salamanca, Skyline Photography, Spain, Travel, wanderlust, What to see. Bookmark the permalink. Hi Pooja! Thanks for stopping by, have you been in this lovely city? It’s such a beautiful city (and very photogenic)! 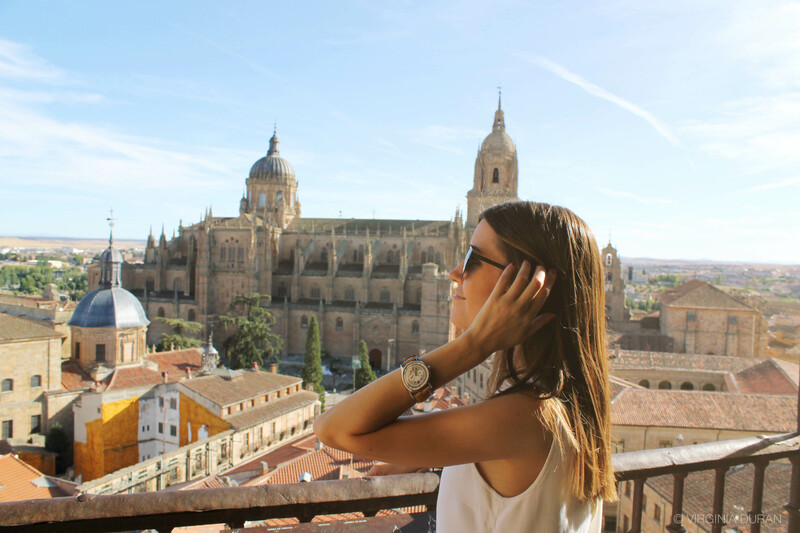 Have you been to Spain? That’s exciting, a world to discover 🙂 you look very young from your avatar picture. Whereabouts in India are you from? You have a lot of time ahead then! I am a bit older (28) and I am writing you from London at the moment 🙂 Are you studying? Government exams? wow, that sounds very serious – congrats! What did you study? Wow! Your pics of Indian places are amazing. I have done graduation in Civil Engineering. And congrats on your degree, it’s not an easy one! Thanks Stéphane! 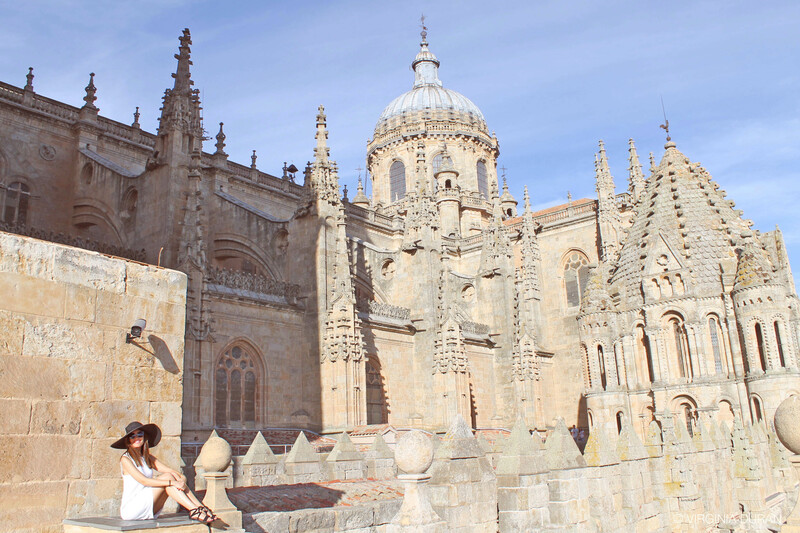 Have you been to Salamanca before? Thanks for the tour, looks marvelous. Wish that I could say, yes. Where are you from? never asked you. It seems to be a beautiful place! I like your photos, special the cathedral. I loved it too! The cathedral is two cathedrals together, which tells you a lot how important religion was in this city 😱 Have you been around here? Hi Virginia, thanks for the great blog, I look at it every time i get restless for culture while staying here in China. We share a lot in common as far as our creativites are concerned (definitely not the ability to sketch though :). I was wondering what your meant by “Spain’s best printers” in your blog. I leave for Spain in a few months (starting to be my second home) and I am just curious. Thanks again for sharing your travels with such lovely pictures and writings, they are much appreciated. Hi Quinn, thanks for stopping by and your kind words 🙂 I was on the road hence the delay. Yes, I meant a company which prints author’s books. Was that your question? HI again, my question might be silly, but I’m wondering if you mean book printers as i have a book to print.